Supporters of captured Army Sgt. Bowe Bergdahl can sweat it out this Saturday, June 30, in Hailey. A fundraiser "work out of the day" will be led by 5B Crossfit trainers at the Hailey Elementary School gymnasium from 8 a.m. to 3 p.m.
Tickets for the drop-in event cost $15 for adults and $10 for children and can be purchased at the door, or by going to www.haileybowewod.com. All proceeds will go to Sun Valley Adaptive Sports, a training and rehabilitation program for returning military veterans. "5B CrossFit and Sun Valley Adaptive Sports are coming together to raise awareness with a nationally practiced hero [workout of the day] that honors Bowe," said Erin Rheinschild, spokeswoman for Sun Valley Adaptive Sports. The workout routine includes three rounds, one for each year of Bowe's captivity, and includes a 1,000-meter row to honor Bowe, who once sailed the Eastern Seaboard, through the Panama Canal, to San Francisco. There will be two levels of workout routines, DJ music and a bouncy house for youngsters. All fitness levels are welcome. For more information, contact Kyl Samway at (208) 309-4080. 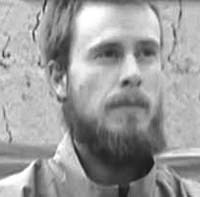 Bergdahl, a native of the Wood River Valley, is believed to have been captured by enemy Taliban forces on June 30, 2009, while serving with the U.S. Army in Afghanistan.